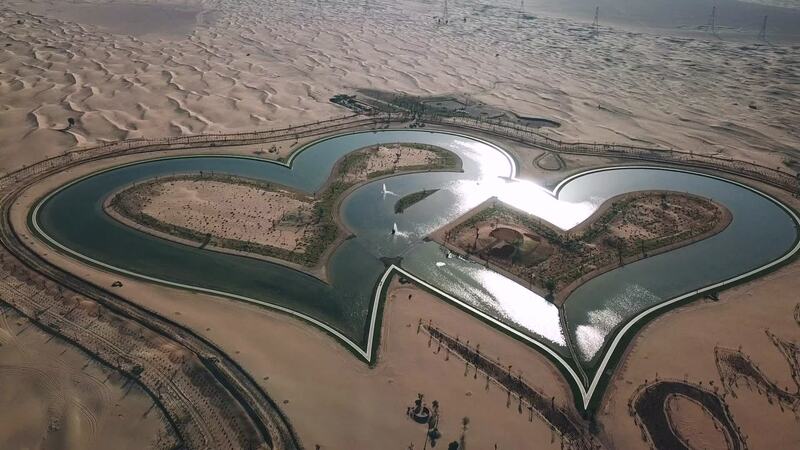 Dubai's Love Lake represents another instance of this Middle Eastern emirate pushing the limits of humanity's ability to shape its environment. It's a set of two heart-shaped interconnected lakes in the middle of the Empty Quarter, the world's largest contiguous Desert. Opened in 2018, the giant lakes are visible from outer space. An instant tourist attraction, you can check it out from a much lower altitude in this drone video by contributor Saw Johnnie.